In November 2000, CICCS was adopted by SBFS and the OES Fire & Rescue Service Advisory Committee/FIRESCOPE Board of Directors. On August 1, 2002, CICCS was implemented by State Fire Training, a section of the SFM, and the OES Fire and Rescue Branch. The CICCS Task Force is a sub-committee of the SBFS. The SBFS plays a major role in providing a state-level focus for resolving issues affecting all facets of the California Fire Service. 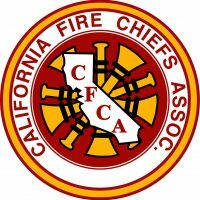 This board is comprised of representation from fire service, labor, fire chiefs, fire districts, volunteer firefighters, city and county governments, CAL FIRE, Cal EMA, and the insurance industry. The Board is chaired by the State Fire Marshal. The SBFS serves in an advisory capacity in such areas as the development of technical and professional performance standards for training fire service personnel, accreditation of curriculum, establishing policy for the certification system for the California Fire Service, and other issues of concern and importance. The SFM has delegated the administration of CICCS to State Fire Training (SFT). SFT is the state certifying entity and serves on the CICCS Task Force. The CICCS Task Force functions as the Peer Review Committee for applications for the positions reviewed at the state level, and makes recommendations for certification to SFT. The objective of CICCS is to create a qualification system that meets the needs of the California Fire Service. A single statewide system ensures a minimum standard is established for all personnel that are deployed to incidents outside of their home departments/agencies’ area of responsibility or jurisdiction.